Home > News > All > Double award winning AllClear – Gold at industry awards! We are delighted to have won two awards at the Insurance Times Awards 2018! AllClear won GOLD for Personal Lines Broker of the Year, and gained the Silver Award for Digital Media Campaign of the Year. These awards are the largest and most prestigious accolades of their kind, and are designed to recognise and celebrate excellence and innovation across the breadth of UK general insurance. They are judged by independent panels of experts from across the sector, and shine a light on outstanding achievement – honouring the ‘best of the best’. The Personal Lines Broker Awards are open to any broker offering insurance to individuals. AllClear was chosen ahead of all other brokers for its specialist medical travel insurance, that serves those who struggle to get cover elsewhere. The company was noted for offering cover for over 1,300 medical conditions to more than 2.5 million people. 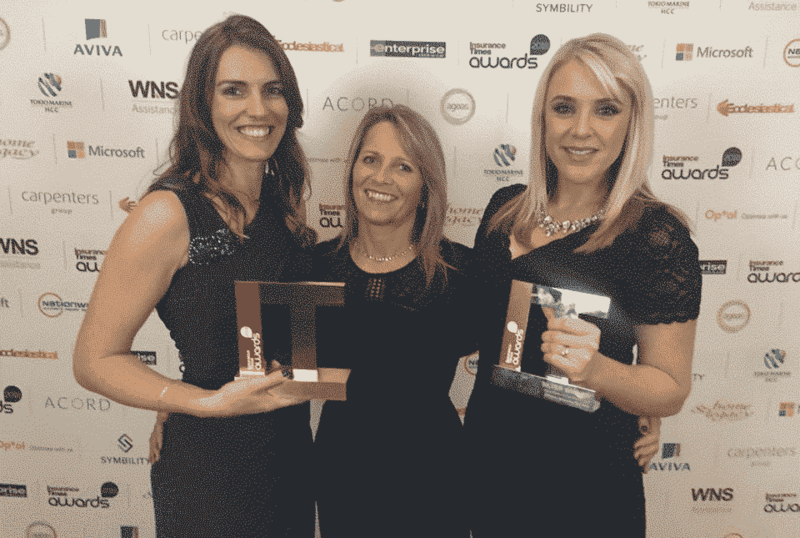 The award also recognises AllClear’s increased investment in its UK call centres – bucking the current trend to focus customer services just online, and leading the way for using innovative technology to influence pricing. For example, cutting premiums for customers with cancer, and supporting the FCA and Access to Insurance for all customers with medical conditions. The Digital Media Campaign of the Year Award recognised the company’s digital campaign called Dementia House, an interactive landing page which sensitively and clearly explains issues surrounding dementia and raises brand awareness to a new audience. “There are a huge number of people who work incredibly hard to make this happen, and each and every one of our team should be very proud. It’s our five star Defaqto high quality products and focus on the customer that truly sets us apart from the competition with 97% of our customers voting us Great or Excellent on Trustpilot. The awards, which took place on Thursday 6th December at The O2 Intercontinental, London, were hosted by comedian Jimmy Carr, and are the biggest night in the Insurance calendar.